Download and review the final JLUS Plan. 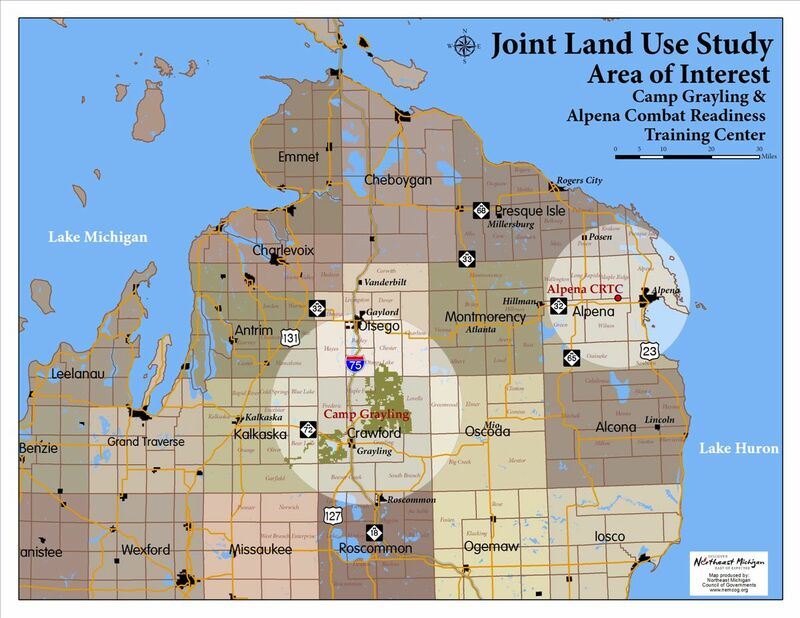 The Northeast Michigan Council of Governments has received a grant from the US Department of Defense to conduct a Joint Land Use Study (JLUS) for Camp Grayling and the Alpena Combat Readiness Training Center. 2) seek ways to manage operational impacts on adjacent lands.